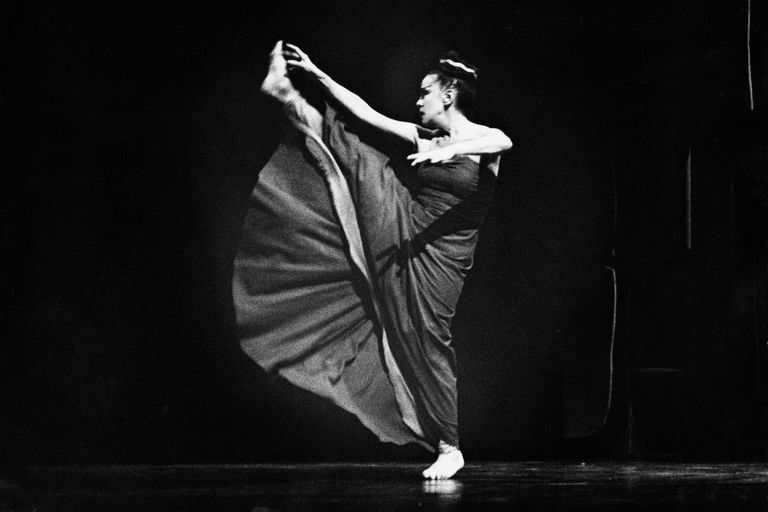 Martha Graham (1894-1991) was one of the best-known teachers and choreographers of modern dance. "All things I do are in every woman. Every woman is Medea. Every woman is Jocasta. There comes a time when a woman is a mother to her husband. Clytemnestra is every woman when she kills." "You are unique, and if that is not fulfilled, then something has been lost." "Some men have thousands of reasons why they cannot do what they want to, when all they need is one reason why they can." "The body is your instrument in dance, but your art is outside that creature, the body." "Our arms start from the back because they were once wings." "Nobody cares if you can't dance well. Just get up and dance. Great dancers are not great because of their technique, they are great because of their passion." "Dance is a song of the body. Either of joy or pain." "I did not want to be a tree, a flower or a wave. In a dancer's body, we as audience must see ourselves, not the imitated behavior of everyday actions, not the phenomenon of nature, not exotic creatures from another planet, but something of the miracle that is a human being." "I am absorbed in the magic of movement and light. Movement never lies. It is the magic of what I call the outer space of the imagination. There is a great deal of outer space, distant from our daily lives, where I feel our imagination wanders sometimes. It will find a planet or it will not find a planet, and that is what a dancer does." "Think of the magic of that foot, comparatively small, upon which your whole weight rests. It's a miracle, and the dance is a celebration of that miracle." "Dancing appears glamorous, easy, delightful. But the path to paradise of the achievement is not easier than any other. There is fatigue so great that the body cries, even in its sleep. There are times of complete frustration, there are daily small deaths." "It takes ten years, usually, to make a dancer. It takes ten years of handling the instrument, handling the material with which you are dealing, for you to know it completely." "In 1980. a well-meaning fundraiser came to see me and said, "Miss Graham, the most powerful thing you have going for you to raise money is your respectability." I wanted to spit. Respectable! Show me any artist who wants to be respectable." "I'm asked so often at ninety-six whether I believe in life after death. I do believe in the sanctity of life, the continuity of life and of energy. I know the anonymity of death has no appeal for me. It is the now that I must face and want to face."